The classic Back-Roller is now available in a new designer series that includes both black-and-white designs (Map and Grid) and colourful designs (Lane and Sunny). 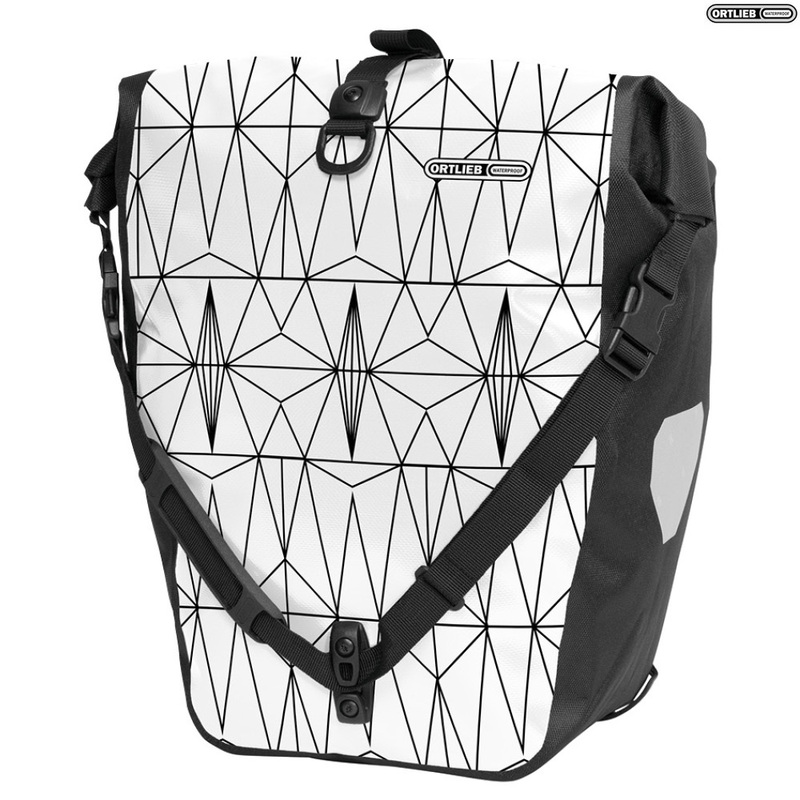 The Ortlieb Back-Roller is an all-purpose bike bag that is ready to accompany you on all on your ventures: to work, to school, to the grocery store or out to the country. With a combined payload of 40 litres, a pair of waterproof Back-Roller bike bags with roll closures offers you plenty of space for all the things you need take or pick up along the way. You can quickly and conveniently mount the bags on virtually any bike rack thanks to the proven Quick-Lock 2.1 system. And even when you're not riding, you can keep the Ortlieb Back-Roller by your side by using the integrated shoulder strap. The bag's interior is divided into a main compartment and a mesh, zippered pocket that helps you to keep all your things in order.